These powerful but friendly Arctic sled dogs are said to have a history dating back thousands of years. 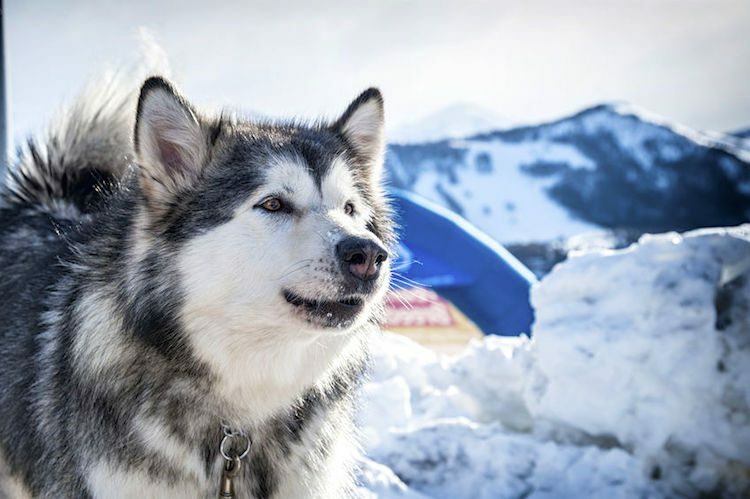 The Alaskan Malamute is the oldest and largest Arctic sled dog breed. These powerful and muscular dogs aren’t built for speed but instead for endurance — pulling weight over long distances. They have triangular ears with slightly rounded tips. The ears stand erect when the dog is alert. The dogs’ brown, almond-shaped eyes are medium sized, and the tail is plumed and carried over the back. Their feet are large and have thick pads with fur between the toes. The double coat features a thick and wooly undercoat and coarse outer coat. The hair is short to medium in length and longer around the neck, shoulders and back. Colors include solid white or a number of color combinations. However, for confirmation purposes the only solid color allowable is the white and white variation. The breed club usually sets the standard, and the American Kennel Club (AKC)’s breed standard doesn’t match that of the Alaskan Malamute Club of America. One theory states that Alaskan Malamutes accompanied the Eskimos on their journey from Siberia across the Bering Strait 4,000 years ago, and anthropological evidence places them at Cape Krusenstern around 1850 BC. Alternatively, archaeological evidence places the sled dog’s origin between 300 and 500 years ago. Early breeder Paul Voelker asserted this was possibly the oldest dog breed in the world to be associated with humans. He reported knowledge of bone and ivory carvings dated 12,000 to 20,000 years ago depicting the Alaskan Malamute we know today. Considering the Eskimos traveled in harsh conditions, they presumably relied on their dogs heavily for transportation and hauling. The American Kennel Club recognized the breed officially in 1935, and the Alaskan Malamute Club of America was formed. 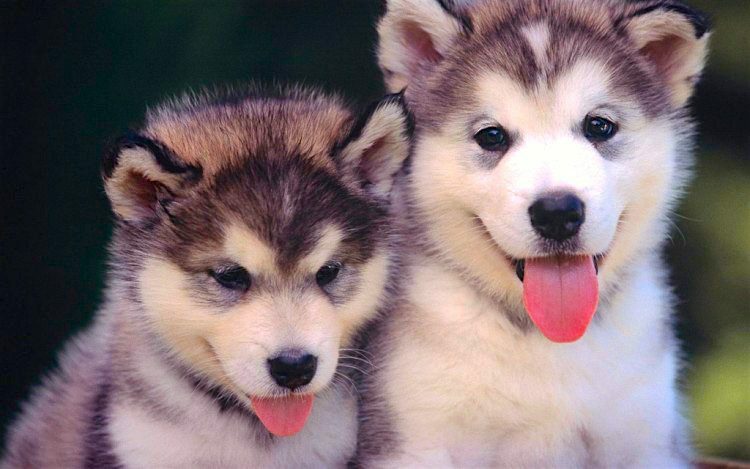 The Malamute is considered a “natural breed,” as humans neither directly influenced nor designed the dog for a purpose. Stewards of the breed continued to maintain the beauty, integrity and honor of the dogs and their legacy, and Alaskan Malamutes are now plentiful. Alaskan Malamutes are loyal, friendly, intelligent and affectionate. They are quieter than most dogs but tend to howl. They also can be challenging to potty train. Because of their friendliness, they are not commonly recommended for guard work. They have a strong prey instinct and may chase smaller animals. Socialization and obedience training is highly recommended. Without training, a clear leader and regular exercise, they can become destructive or aggressive. They are working dogs who need a regular physical and mental outlet. HIGH: These athletic dogs are capable of pulling loads (carting and sledding) and enjoy jogging, swimming and hiking. They are diggers, so designate a spot in your yard for your dog to fulfill this instinctive need. Exercise your Alaskan Malamute every day in a secured area or on a leash. They are not often wary of strangers, and this could cause them to wander off, or worse, get stolen. Consider enrolling your dog to participate in agility, obedience and rally trials to provide another outlet. HIGH: Brush the thick, waterproof double coat every other day. The breed club recommends trimming your dog’s nails every 6 weeks and bathing the dog every 6–8 weeks. Also clean the ears and teeth regularly. If your Alaskan Malamute keeps a longer coat, visiting a professional groomer a few times a year is your best bet. We were surprised to find more than 250 Alaskan Malamutes, including purebreds, available for adoption across the country. Check with your local shelter or rescue first. You can also try our free online adoptable pet search. If you contact breeders, get to know them. 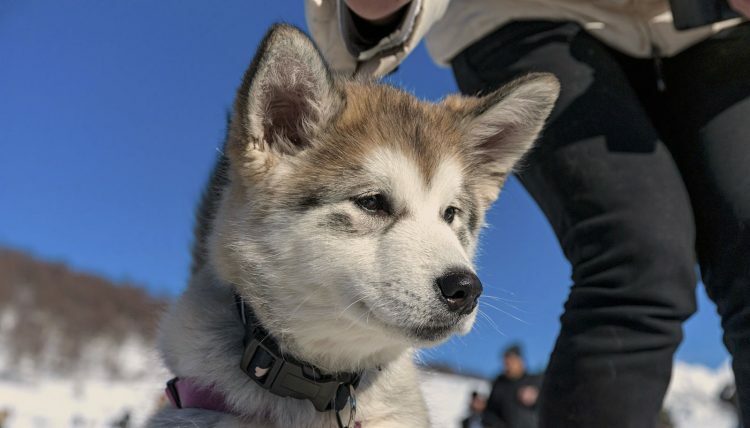 This is crucial, according to 2nd-generation Alaskan Malamute breeder and handler Xavier Santiago, who contributed to this article.